A record 18,000 people took off their clothes to pose for U.S. photographic artist Spencer Tunick on Sunday in Mexico City’s Zocalo square. Directing with a megaphone, Tunick shot a series of pictures with his Mexican models simultaneously raising their arms, then lying on their backs in the square as well as another scene on a side street with volunteers arranged in the shape of an arrow. Hundreds of police kept nosy onlookers away during the nippy early-morning shoot, and a no-fly zone was declared above the plaza. One of the world’s biggest and most imposing squares, the Zocalo is framed by a cathedral, city hall and the National Palace official seat of government, which is adorned with murals by Diego Rivera. A ruined temple next to it was once the center of the Aztec civilization and was used for worship and human sacrifice. Spanish conquistadors used bricks from the temple to help build their own capital. Some participants said the massive turnout showed that Mexicans, at least in the capital, were becoming less prudish. Mexicans are not used to showing skin. Most men wear shorts only while on vacation, and women tend not to put on miniskirts because of unwanted whistles and stares. The capital of the world’s second-biggest Catholic nation, where tough-guy masculinity and family loyalty are held dear, has recently challenged some important traditions. Last month, Mexico City legislators legalized abortion in defiance of criticism from church officials. Also, gay couples are getting hitched in civil ceremonies thanks to recently passed laws in the capital, and lawmakers plan to debate whether to legalize euthanasia. David Hasselhoff in alcohol hell. David Hasselhoff, the star of the latest scandal, has once again confirmed that the cup was more important to him than work. In spite of all the wealth he made starring in the show Baywatch and singing German pop songs, he has struggled with alcohol addiction for years, which resulted in the end of his marriage, deteriorating relationship with his children, and business collapse. There is a video circulating on the Internet that shows David in a heavily intoxicated state and the voice of his daughter can be heard in the background, asking him to stop drinking: ” If you have any alcohol in your system, you are going to be fired from the show,” reports the National Ledger. You can see the whole video below! You read it correctly! 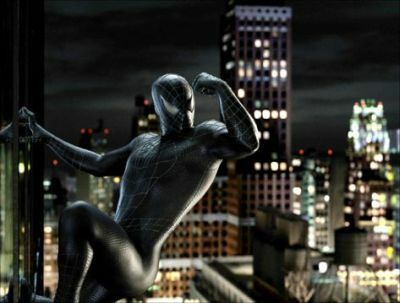 375 million dollars will finish up into the pockets of the film hero Spiderman. His original creator Stan Lee probably never even dreamed of such a success of his “child”. The filming of this movie, which was pronounced the most expensive film of all time, cost 258 million dollars, and it seems like every cent paid off. Lets take a look at exactly how the numbers and millions add up. Spiderman’s opening is currently the strongest in the history of film, and its example is followed by “Stars Wars: Episode III – Revenge of the Sith” whose opening earned 254 million dollars two years ago. In America during the first weekend of screening, Spiderman earned 148 million dollars and topped the new Pirates of the Caribbean with their 135.6 million dollar earnings. Last Friday, in only one day, Spidey earned 59.3 million dollars and again topped the record earnings of The Pirates of the Caribbean, which was 55.8 million dollars. The filming of the movie cost 258 million dollars, whilst some experts claim that an extra 125 million was spent on promoting the film. The first week of screening in Japan brought 26.5 million dollars, in Britain 23 million, and in France, 22 million dollars. Statistics showed that the American viewers of Spiderman consist of 54% males, whilst 65% are younger than 25. The original “Spider-Man” from 2002 also made record earnings with a start of 114.8 million dollars, and a final 403.7 million dollars. Two years later, “Spider-Man 2” earned 373 million dollars. This year’s winner in all cinemas will probably stay number one until the arrival of a new hit, which is also a third sequel, Shrek, with a simple title “Shrek the Third”. The script for a fourth Spiderman is already in preparation, but no contract have been signed yet. Cellular One customers across the U.S. have access to the world’s largest mobile music catalogue thanks to a joint partnership between the wireless provider, Ericsson and Napster. Napster Mobile is available to customers of Cellular One from Dobson Cellular Systems, one of the largest providers of wireless services in rural America. The service features Napster’s catalogue of over 3 mln full-length songs enabling Cellular One’s more than 1.6 mln customers to easily enjoy music on their wireless handset and on their PC. Cellular One subscribers in 17 U.S. states have access to Napster Mobile, allowing them to search and browse the content in Napster’s catalogue and buy and receive full-length songs via their wireless handset. Since Napster Mobile is a dual-platform, digital music service fully integrated with Napster’s PC offering, a copy of the purchased content is simultaneously sent to the customer’s PC. Russian gymnast Anastasia Guseva will miss the Beijing Olympics after being banned until November for testing positive for a banned diuretic that can be used to mask steroids. Guseva will miss the September 19-23 rhythmic world championships in Patras, Greece, the International Gymnastics Federation said Monday in a statement. It’s a qualifying event for next year’s Olympic Games in China. She tested positive for the diuretic, furosemide, at the rhythmic events of the 2006 World Gymnasiade in Athens last June. The Russian Federation of Rhythmic Gymnastics banned Guseva for one year in November 2006. “FIG has taken note of these decisions, in accordance with its own rules and in support of the fight against doping,” the sport’s world governing body said. A doping addict? Ban her out of any Games, for the rest of her life!